It is to be recalled that following Prime Minister Abiy Ahmed's appointment exiled armed opposition parties came back to Ethiopia. One of the major parties amongst them is the Oromo Liberation Front (OLF). There has been a controversy about the party not disarming even after coming home pledging to participate in peaceful political activities. In an interview with BBC News Amharic, OLF’s Executive Ato Goshu Lemessa said OLF has occupied and settled on areas previously controlled by the Tigray People’s Liberation Front (TPLF), a party that is a core member of the ruling EPRDF coalition. And, which OLF considers is invasive. Ato Goshu also opposed the federal government’s decision to deploy soldiers in peaceful Western Oromia zones such as Nekemet and Dembidolo. Even if the military’s involvement in stabilizing peace in certain areas is mandatory, he disagreed with the settlement of the soldiers in the cities which created uneasiness in the communities. It is known that deadly ethnic violence in the country has hit areas bordering the Oromo and Benishangul-Gumuz regions in Western Ethiopia. 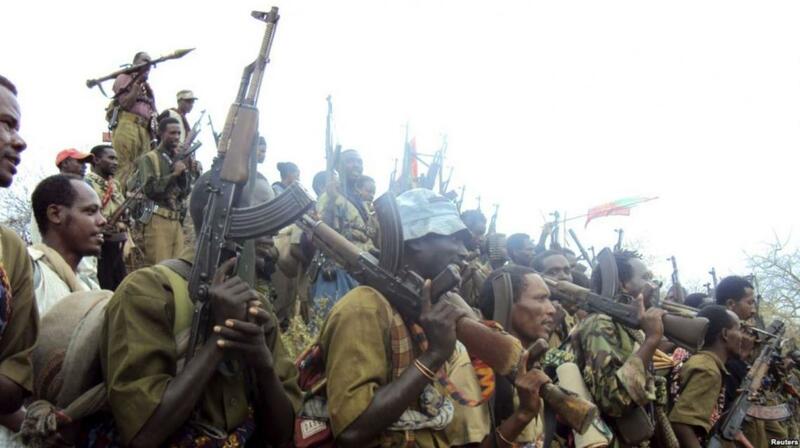 Additionally, Ato Goshu confirmed that his party, OLF is planning to surrender firearms peacefully.